Gary Alt, co-founder and financial advisor at Monterey Private Wealth in Pleasanton, CA recently had an article published by Nasdaq. You can read the article at Nasdaq.com by clicking here, or read it below. Deciding when to start collecting Social Security benefits is one of the biggest financial decisions you’ll make in retirement. Why? The lifetime cost of making the wrong choice can be enormous, and could have a huge impact on your family’s retirement lifestyle. Considering that you’ve contributed a hefty amount over many years of your career, make sure you’re not shortchanging yourself or your family. Consider a hypothetical example: Bob turns 62 this year and is wondering whether he should begin collecting benefits. If he waits until his full retirement age of 66, he’ll get $24,000 per year. Taking early benefits at age 62 cuts his payments by 25%, so Bob will get only $18,000 a year. If he waits until age 70, his full retirement benefit amount increases 8% a year, rising to $32,652. By age 85, those payments will add up to about $608,600, compared with only about $547,600 if he started collecting at age 62, assuming 2% percent annual cost of living adjustments. While there are a lot of factors that go into the decision on when to start taking benefits, a few of them are critical in making the right choice. The easiest factor to consider is health. If you suffer from a chronic illness that’s expected to significantly shorten your life, it might make sense to collect sooner. For Bob, waiting until age 66 means he’ll have to live until age 79 to make up for the four years he wasn’t collecting. Spousal benefits — it’s not all about you! When you pass away, your spouse will receive your full retirement benefit if his or her own benefit is less than yours. If you have a chronic illness that might shorten your life, think about how your decision will affect your spouse the rest of his or her life. In Bob’s case, settling for $18,000 a year at age 62 instead of $32,652 at 70 could affect his wife’s ability to afford long-term care or health care in her later years. Retirement today is often described as the ability to work as much or as little as you want, and doing something you enjoy — so it’s common to have at least a little income. But your benefits are affected in two ways if you earn too much money. First, if you’re under your full retirement age, your monthly payment will be reduced if you earn more than $15,720. Second, up to 85% of your benefits may be taxed if you earn more than $25,000 (filing taxes as single) or $32,000 (married filing jointly). So if you plan to continue working, even part time, it might make sense to delay receiving benefits. The early years of retirement often include lots of travel, dining out and staying physically active —all of which require money. In later years, those expenses are supplanted by higher health care costs. On top of all that are non-discretionary expenses such as property taxes and transportation. Understanding your needs versus your wants, both today and tomorrow, is a delicate balancing act. We can never predict how long we’re going to live, but it’s worth considering this statistic: For a 65-year-old couple, there’s a more than 70% chance that at least one of them will reach 85. Even beyond trying to estimate the break-even point of delaying benefits, longevity brings inflation considerations. The effect of inflation on your lifestyle over 20 or 30 years is staggering — your cost of living will likely double over that time. But regardless of when you apply for benefits, you’ll receive cost-of-living adjustments in most years. 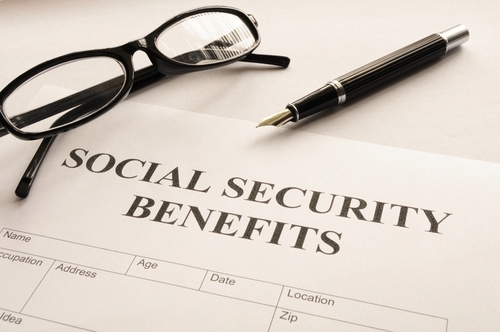 These are some of the most important considerations when trying to optimize your Social Security strategy. I’ve used hypothetical dollar amounts as examples, but you can get your own benefit amounts at the various ages by downloading a personalized statement at www.ssa.gov/myaccount/. One last note: If you start taking Social Security and later discover that suspending your benefits is financially advantageous, you can withdraw your application and pay back the Social Security Administration. The only catch is that you have to notify them before 12 months from when you became entitled to retirement benefits. A smart Social Security Strategy can put tens of thousands of dollars more in your pocket over your lifetime. Gary Alt is an investment fiduciary and co-founder of Monterey Private Wealth in Pleasanton.